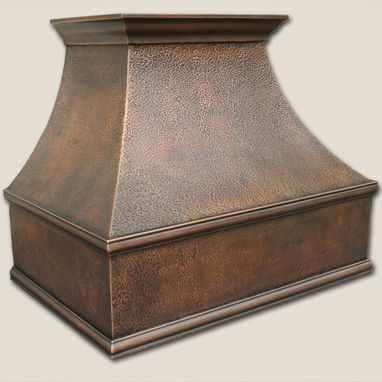 Traditional Copper Range Hood 48"
The Traditional Copper Range Hood is hand constructed from virgin cold rolled copper, features a decorative crown modeling and dark patina. 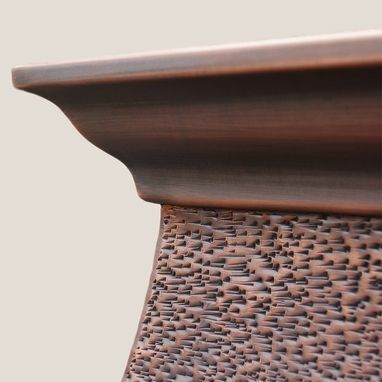 What makes this hood unique is the intrecit hood texture. 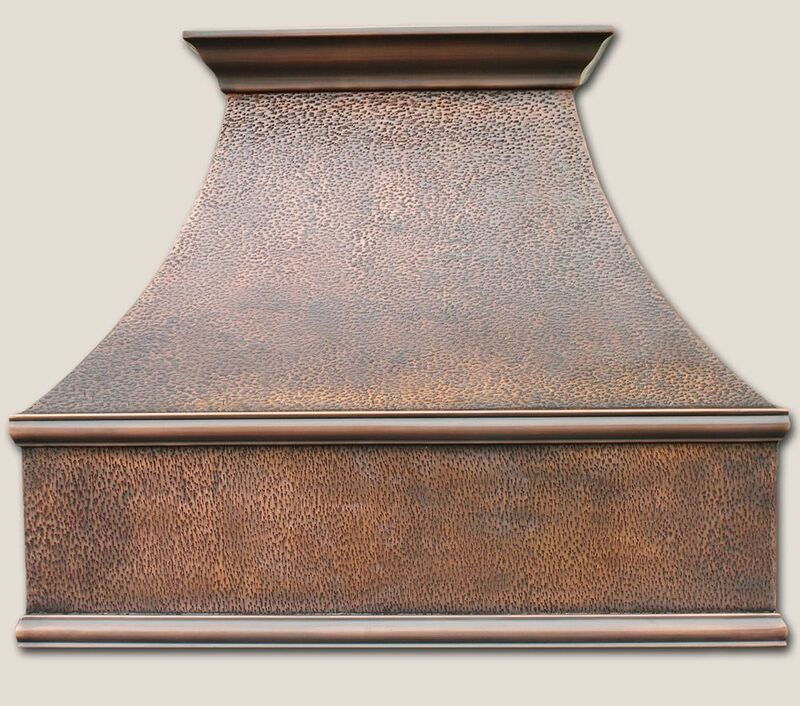 The range hood is brushed and sealed for a maintenance free finish. 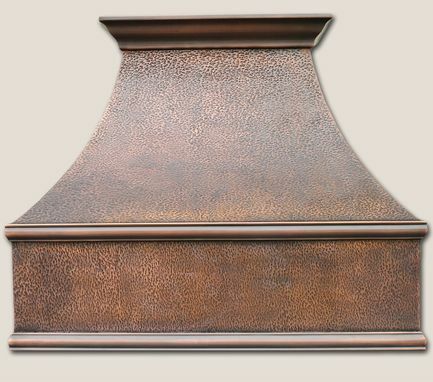 This hood is 48" wide, and is available in 30", 42" and 54" heights. You can select from 390 or 660 CFM with halogen lighting from tradewinds.